Appeal to the senses while learning the alphabet and spelling simple words! Use the letters on a light table to create glowing words. Inside each letter is a small disc. 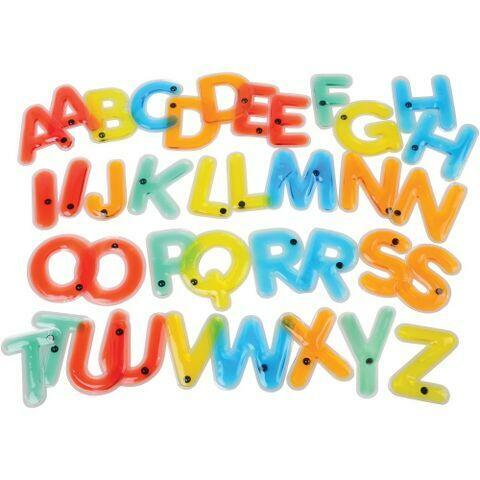 Ask kids to move the disc all the way around a letter to practice fine motor skills. Includes 38 letters and guide. Dimensions: W: 3.5" x H: 4.75"